Spray ovenproof, removable insert of 5-quart oval slow cooker with cooking spray. 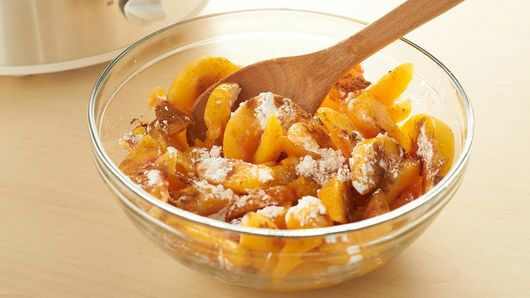 In large bowl, mix Peach Mixture ingredients. Add mixture to slow cooker. Cover and cook on High 2 hours or until hot. Remove insert from slow cooker; stir. Heat oven to 350°F. Separate biscuit dough into 8 rounds; cut each round into fourths. In large resealable food-storage plastic bag, mix 1/4 cup sugar and 1/2 teaspoon cinnamon. Add dough pieces to bag; toss to coat in sugar mixture. 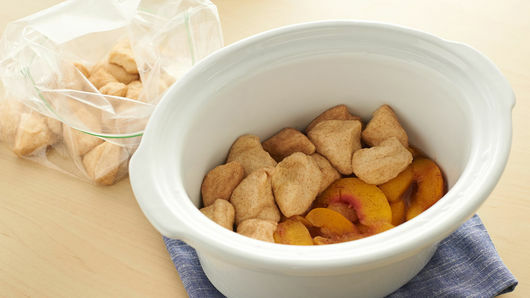 Place dough pieces on top of peach mixture. Sprinkle any remaining sugar mixture on top of dough. Bake uncovered 26 to 30 minutes or until biscuit dough is golden brown and baked through. Let stand 20 minutes before serving. 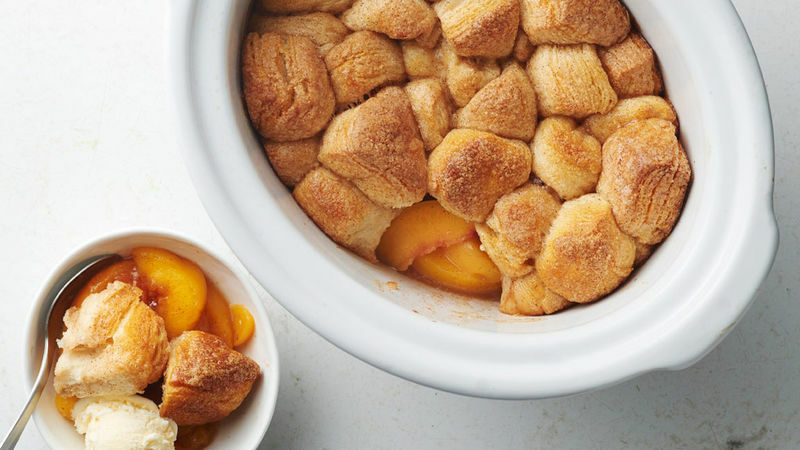 If fresh peaches are out of season, substitute frozen (thawed) peaches. Serve with a scoop of vanilla ice cream to make this dessert extra delicious.